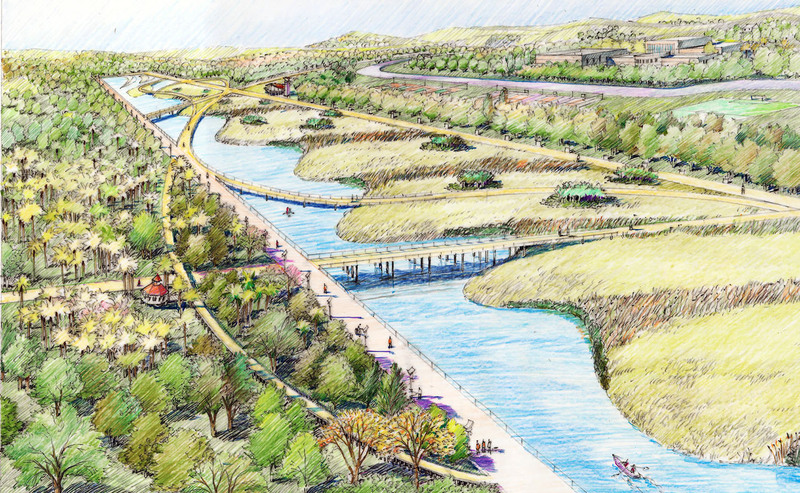 Following a paid competition, CRJA-IBI Group was selected for the design of a 40-acre linear park on the site of the main runway of a defunct World War II U.S. Air Force Base in Trinidad and Tobego. 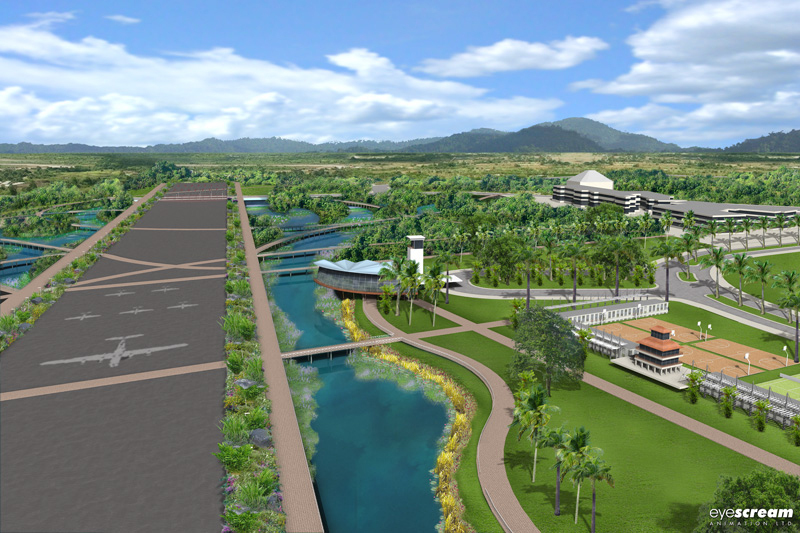 The entire base of 416 acres is being converted to an eco-industrial park featuring various knowledge based industries as well as the University of Trinidad Tobago (UTT), a university for 6,000 students. 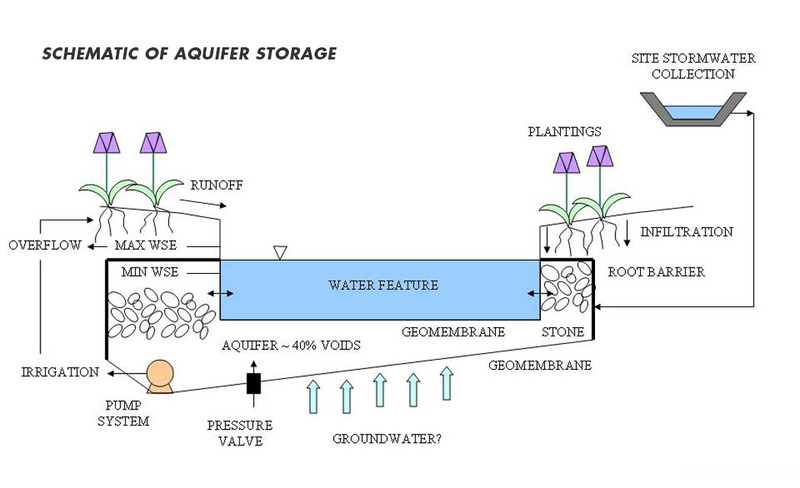 One design scheme presented in the competition was inspired by water’s role in the environment. 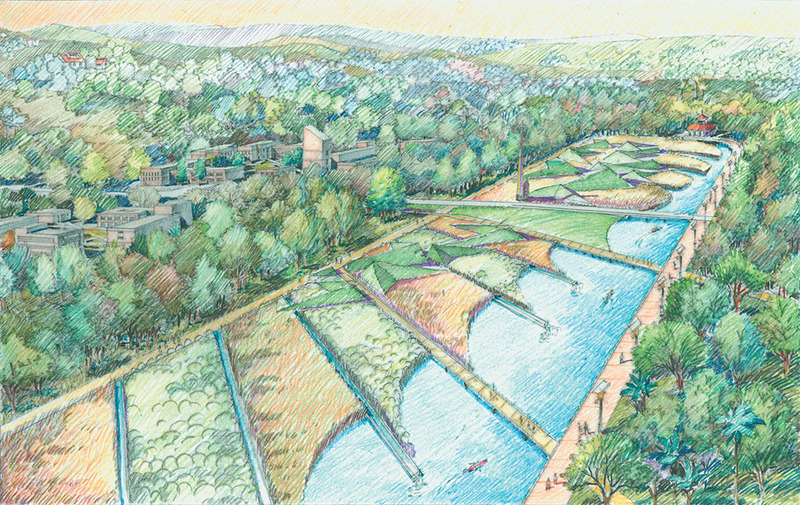 Using Trinidad’s own northern landscape as a model, the main water course travels through abstractions of familiar landscape types, beginning in the mountains, traveling through the fertile alluvial plains, carving a river valley, opening up into a marsh-filled delta, then ending in the open sea. 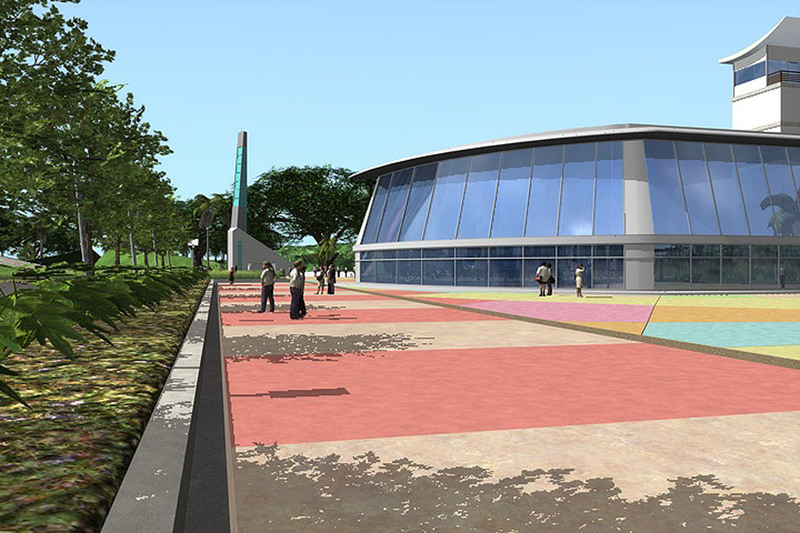 Within this park is a system of walkways that enable park users to travel through and across the space.